Hi, my name is Richard Osgood and I'm the Senior Archaeologist at DIO. Today I'll be blogging about the team of military veterans, service personnel and volunteers from Wessex Archaeology and Breaking Ground Heritage who helped to unearth the excavation track at Barrow Clump to see if military activity had an impact on the archaeological site. Barrow Clump is a protected scheduled monument and an Early Bronze Age burial mound that later became the burial place for Anglo Saxons in the 6th Century AD. It was previously excavated by Operation Nightingale to investigate the nature of damage from burrowing badgers. If you've read my previous blogs you will know what Operation Nightingale is but for those of you who don’t, it’s a programme that was jointly established in 2011 by DIO and The Rifles. 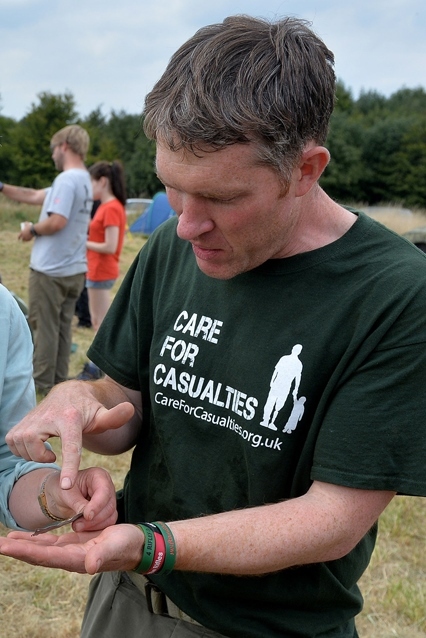 The programme uses archaeology to aid in the recovery of soldiers who are sick, wounded or were injured on operations in Afghanistan. 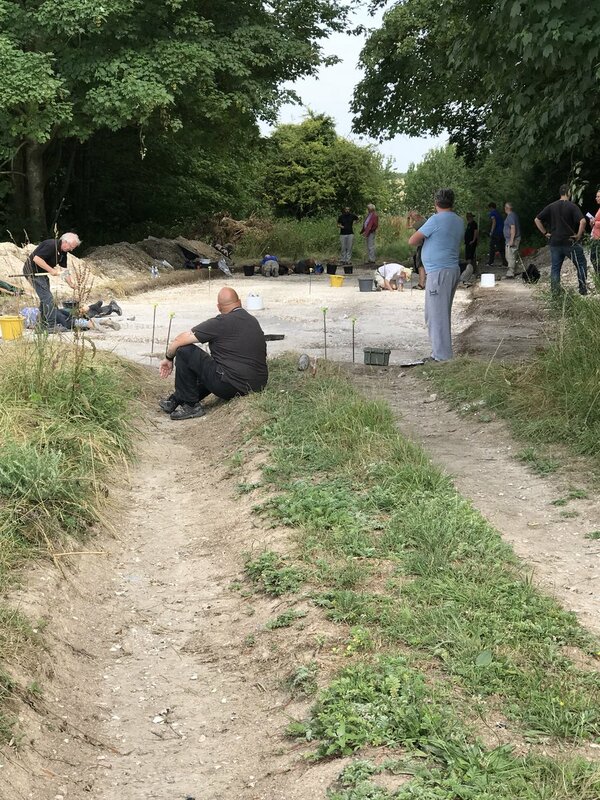 Last November, volunteers discovered remains outside the barrow which showed that the cemetery was vulnerable to the movement of heavy military and farm vehicles. At the edge of the track a man with an iron spear and a woman with jewellery were found. A final excavation was carried out from Monday 2nd July to Friday 20th July and soldiers unveiled some exciting discoveries including a female skeleton with brooches, decorated pottery, a cremation urn, an iron knife, a bead and bronze buckle, a child burial with two square headed brooches, a spear head with a 6th Century shielded boss and a ‘warrior’ grave with a sword and lots of weapons! 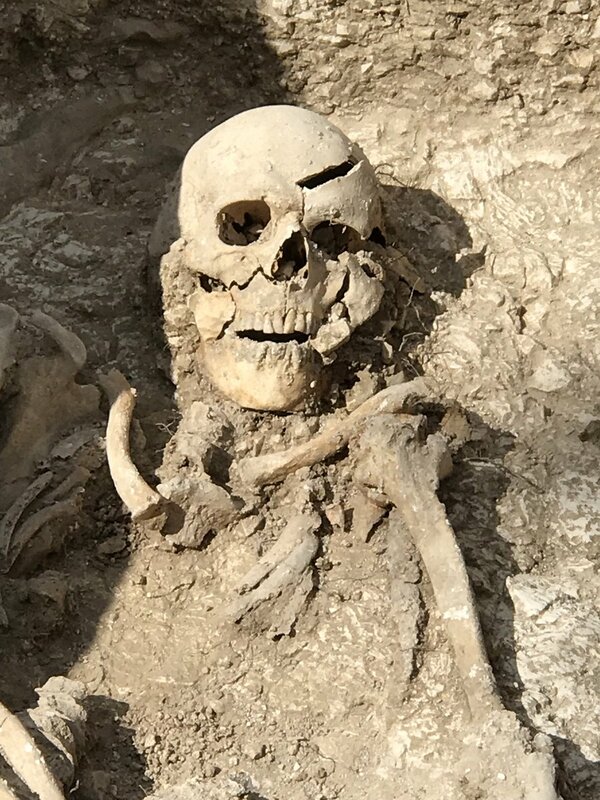 I’m surprised how well the remains have survived under the tracks. Over 110 burials have now been found on the military training site. DIO plays a vital role in preserving, protecting and maintaining monuments and sites of historical and scientific interest across the MOD estate. The data found on this excavation will be used for the careful management of heritage on Salisbury Plain. 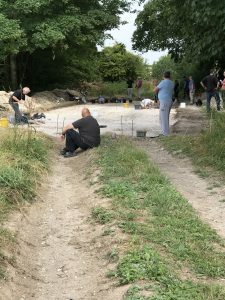 The discoveries found by volunteers on this excavation will also be laid to rest in the Wiltshire Devizes Museum – I would recommend visiting it, if you are interested in archaeology. 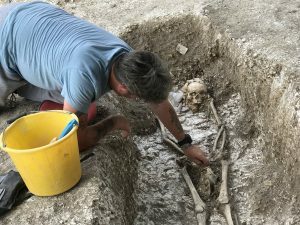 DIO and Wessex Archaeology are also producing a monograph on the fieldwork which will be available at the end of 2018. Adventure, penguins and service delivery! Glad to see someone put their education to good use! 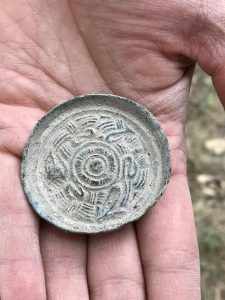 Interesting approach to PTS, I would have thought soldiers digging trenches would have been a bit close to home, but that said I would do anything to get back on a dig. Hope all well. Fellow alumni.